Signs of a problem: title over 100 characters long; title sounds like a blurb. The symptoms: false sense of superiority. If your book is called Grubby Pants, when you upload it to your chosen eBook platform, it is still called Grubby Pants. At no point does your book title change to Grubby Pants (An Action Adventure) or Grubby Pants (By The New Stieg Larson) or, God forbid, Grubby Pants (Proofread). You do not need to put your genre in your title – that’s what categories are for. You certainly don’t want to include gushing praise or make bold claims comparing your talents to the greats (not least because a true totally splendid hotshot author would never be content being anybody else’s successor). 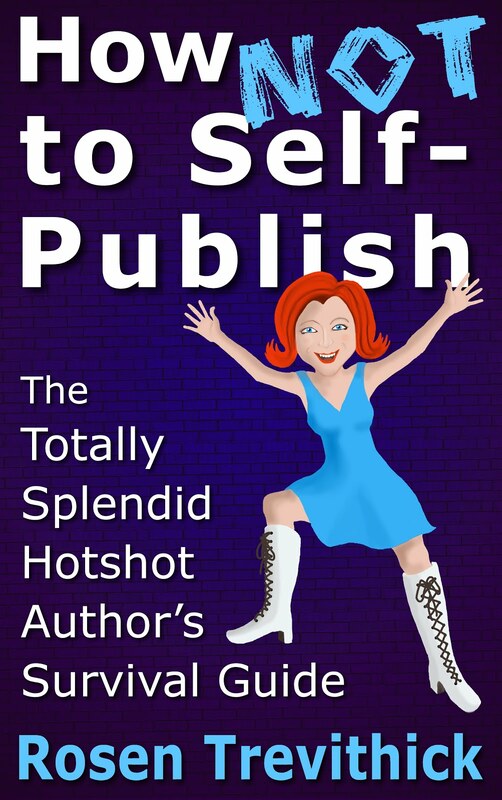 As for mentioning that your book has been proofread – it will only draw attention to the fact that you’re an amateur. There are only three acceptable reasons for putting brackets in your title: disambiguation, title continuation and to denote a series. For example, there are over one hundred titles on Amazon including the word ‘Titanic’. Should you wish to publish yet another book called Titanic, then it would be sensible to call yours Titanic (A Fish’s Perspective). Or, you might want to call your book Memoirs of a Lingerie Designer but feel it’s not catchy enough. In which case, you can pick something snappy and put the longer title in brackets, e.g. Grubby Pants (Memoirs of a Lingerie Designer). It is sometimes acceptable to put ‘Boxed Set’ in the title, because without it ‘[your name] Boxed Set’ doesn’t make any sense. If at a later date you write a sequel to Grubby Pants then it is perfectly agreeable to go back and change the title of your first book to Grubby Pants (Book 1 of the Dirty Lingerie Series). If, even after our compelling arguments, you decide to proceed with blatant title abuse, do be prepared for promotional websites to put your title through the mangle (that’s if they feature you at all). There’s a reason why we don’t have books called Wuthering Heights (a moor top romance featuring a tormented alpha male), Animal Farm (a book with more than one layer) and The BFG (By the new Enid Blyton but with a completely different writing style and plot structure).